Forty years ago, Woody Clinard made a bold decision. He sold family land and established the D. Elwood Clinard Charitable Trust at the Foundation in memory of his father. Woody’s move was audacious in several ways. He was just in his midforties—younger than the typical Foundation donor at the time. He was deeply rooted in Winston-Salem, but not part of the city’s circle of historically philanthropic families. And he committed fully to the Foundation’s values and purpose with an unrestricted fund. Then, as is the case now, an unrestricted fund is the most flexible type of fund that enables the Foundation to make grants in the community, in perpetuity. Since 1974, his fund has nurtured many community organizations and efforts through Community Grants. In recent years, it was instrumental in supporting Latino-led and Latino-serving nonprofits through the Foundation’s work with Hispanics in Philanthropy. Over the years, Woody has made additional fund contributions, created a donor-advised fund, and plans to include the Foundation in his estate. Woody’s generosity is a sign of his desire to create positive change in the world, a value he shared with his wife, Helen, who passed away in 2013. Woody is especially interested in education—"it’s an investment for the future”—and in efforts to support and engage the growing Hispanic community in the region. 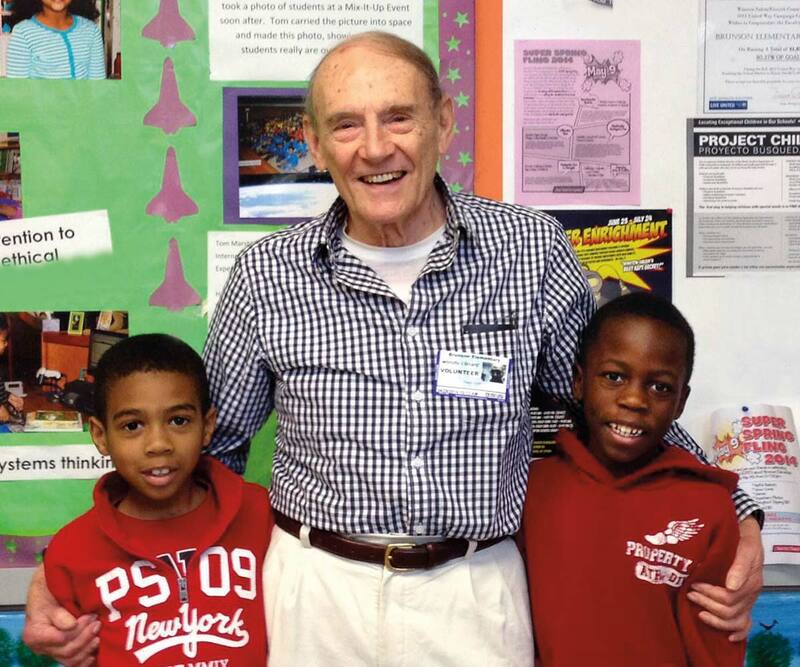 For more than 16 years, Woody has also been a volunteer reading tutor through the Augustine Project, first at Old Town Elementary and currently at Brunson Elementary. “It’s a joy,” he says of the time he spends with the children he tutors. He brings his considerable ideas and energy — along with his time and financial support—to the school system and other community organizations such as READWS, Forsyth Education Partnership, the Hispanic League, El Buen Pastor, and Planned Parenthood. The D. Elwood Clinard Charitable Trust, an unrestricted fund, was established in 1974 by Woody Clinard in honor of his father. Woody, along with his wife of 52 years, Helen Hall Clinard, established the D. Elwood and Helen H. Clinard Fund in 1994, a non-endowed advised fund. He is also a member of the Foundation’s Legacy Society.